Click here to check out the super-fun video we worked on with them! 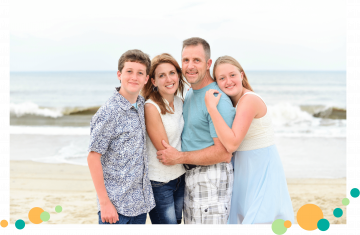 Wanna share a little bit of love with your kiddos at lunchtime, even when you can’t be right there with them? Well … I guess you could be right there with them. You could go dashing through the school cafeteria to swoop in amongst all their chattering friends, and grab them up in a giant bear hug. You could. But maybe don’t. Just trust me on that one. You also could write sweet notes to tuck in their lunch boxes, and draw little hearts on their napkins. Full disclosure? I still draw those hearts … and I truly want to believe that Amy and Ty still secretly like them. But now that they’re in high school, I’ve gotten the patient request to please confine my hearts to a realllllly teeny tiny place in the napkin’s corner where no one else will notice them. Ahem. Teenagers. So, I’ve found a whole new way to share a little love. 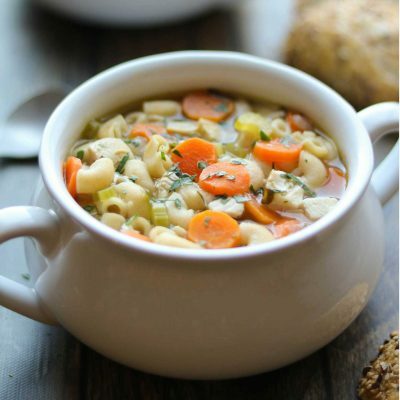 It’s easy, it’s nutritious, and it’s really yummy, too. Total lunchtime victory! 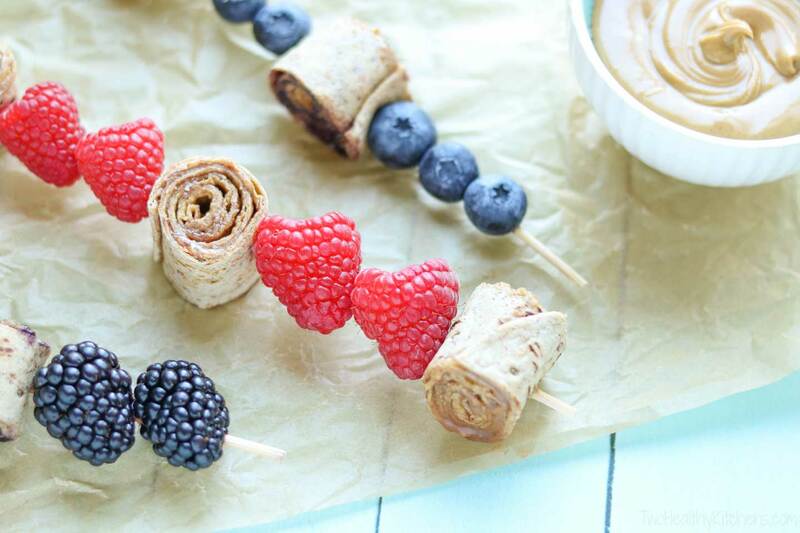 These PB&J Kabobs have it all goin’ on. PB&J! – At their very most basic, these are still just good old, tried-and-true, peanut butter and jelly sandwiches … but a whole lot cuter and more fun! No doubt about it, PB&J is simply a winner. You can change it up with nut-free butters, different jellies … so many options. But no matter its form or variety, PB&J has solid staying power, and a five-star rating from practically every kid, everywhere, ever. When you’re looking for lunchtime inspiration, it’s always a good place to start! Wow Factor! 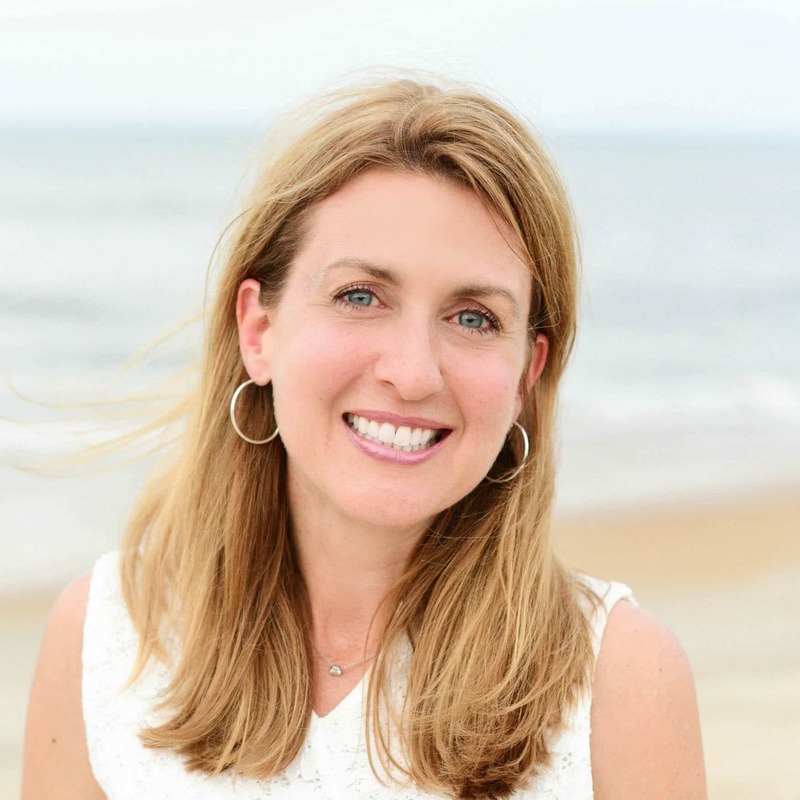 – But … no matter how much kids adore PB&J, it does tend to get a bit boring after awhile, doesn’t it? These kabobs take it from ho-hum to wow! Lucky for lunch boxes everywhere, here at THK, we have some solid experience with the PB&J wow factor. Hint … for more inspiration, peek at our Hungry Hippos Sandwiches or our Peanut Butter and Granola Crunch Wrap (which is quickly becoming one of the all-time most popular recipes we’ve ever posted). No lunchtime is ho-hum with one of these around! Healthy! – And you already know what I’m going to say next, right? These are also … wait for it … nutritious! Swap out your typical bread for a Flatout, and you’ve upped you nutrition game already. 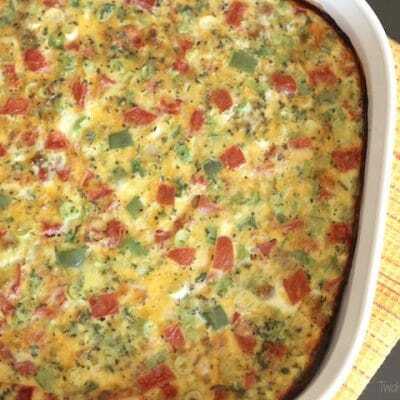 Loaded with fiber, whole grains and protein, Flatouts are an automatic health boost. 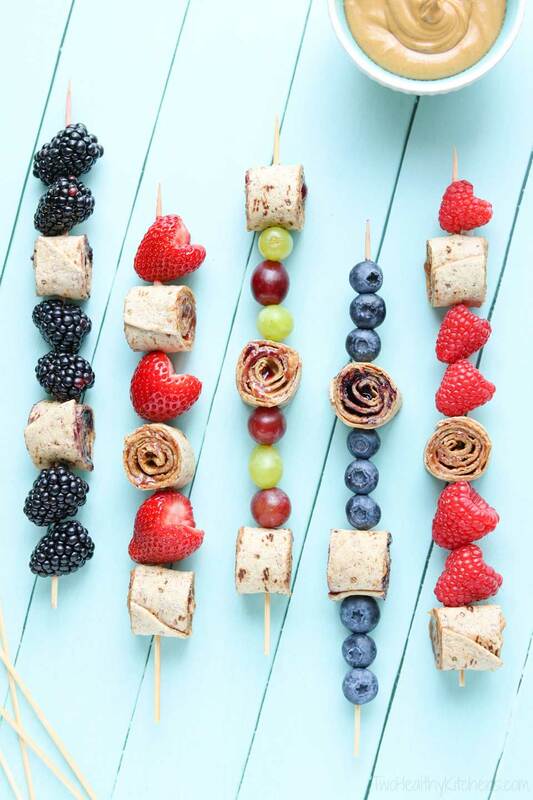 Plus, these kabobs have pretty, healthy fruit threaded right on the skewers. And we always recommend 100% pure fruit jelly and natural peanut butters (read those labels, friends – it makes a difference)! Easy! – These yummy kabobs are also simple to make. I promise! A thin slather of peanut butter (1), then jelly (2). 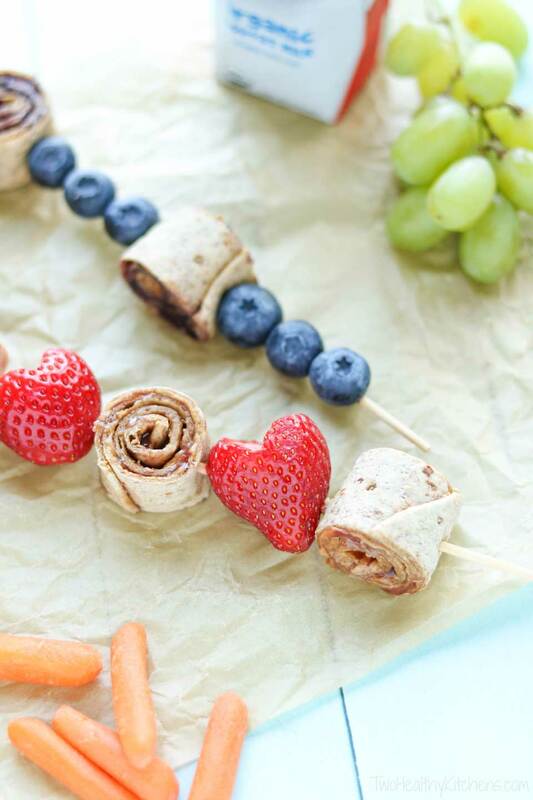 Roll it all up (3), then cut little pinwheel circles and thread ’em on your skewers with some fruit (4). Done! (Oh – unless you still have to draw a heart on the napkin. Don’t forget that part!) See … so simple! 1) Measuring – Our measurements for the peanut butter and jelly are just suggestions, and you honestly can probably get away without really measuring them precisely at all. But here’s the thing. You do want to be careful not to schmear on too much. That’ll lead to goopy pinwheels that are messy to roll, messy to cut. It doesn’t seem like much peanut butter or jelly, I know. But we’ve tested the amounts for both maximum flavor and maximum workability, and you’ll truly be happiest with just a thin layer of each. 2) Cutting – Use a very, very sharp knife (carefully!) for cutting these. You want to be sure you don’t mash the roll-ups as you cut them into pinwheels. If you don’t have a super-sharp knife, you could also try sawing gently back and forth with a serrated knife to give you a nice, clean cut without smooshing your pinwheels. 3) Skewering – Instead of jabbing your skewer right through, I find it works best (again … to avoid smooshing) if you gently rotate the skewer a bit as you ease each pinwheel onto it. 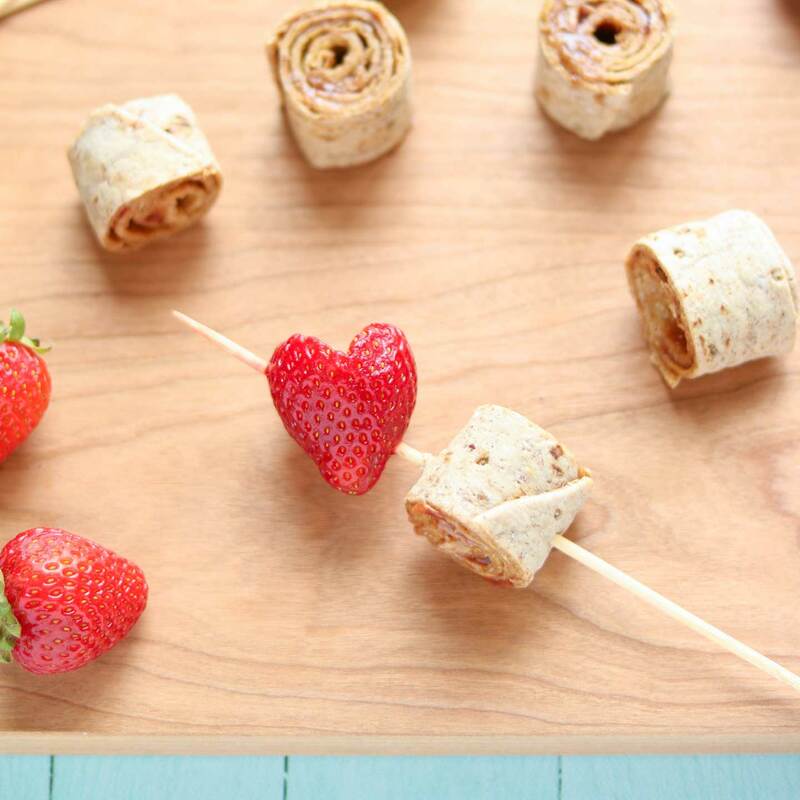 For tiny kiddos, you can snap off the sharp, pointy ends of the skewers for safety after you’ve threaded everything onto each skewer. 4) Allergy-Friendly – Feel free to swap out different nut butters like almond butter or cashew butter to keep things interesting. 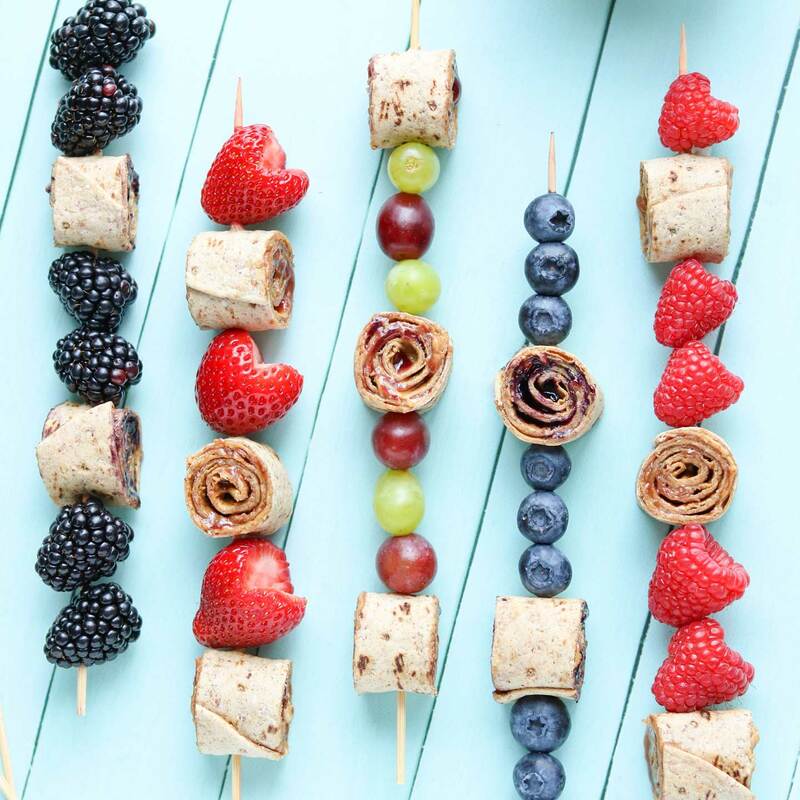 Or, to make these sandwich kabobs more allergy-friendly for nut-free school lunchrooms, you can substitute a soy-based product like WowButter or a nut-free sun butter (made from sunflower seeds). 5) Mix and Match – As you can see in the photos, I sometimes like to match the jelly to the fruit I’m using. If I’ve got gorgeous strawberries, for example, I might use a strawberry jelly. But don’t feel like you have to be so matchy-matchy all the time. 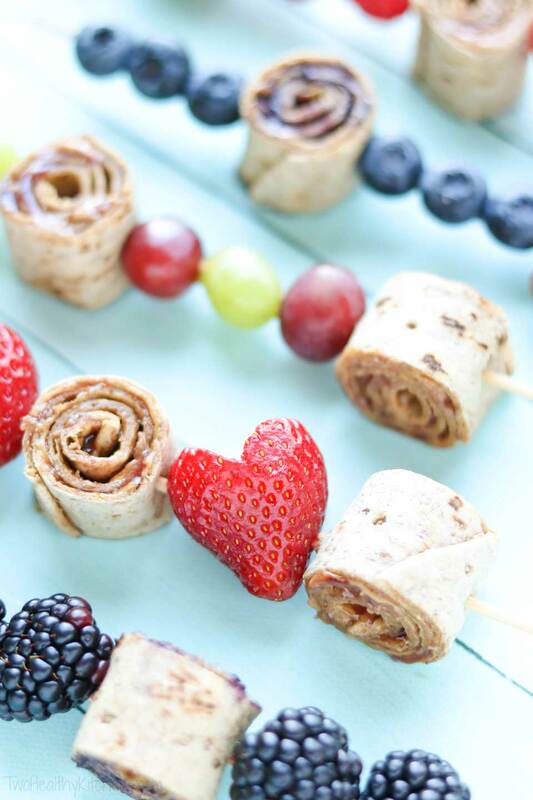 You don’t even have to use all one kind of fruit on each sandwich skewer – get creative! 6) Choosing the Right Fruit – Grapes and all sorts of berries are a sure bet – whatever your kiddos like. I will say, though, that bananas aren’t my favorite here, unless you’re serving the pinwheels immediately, simply because skewered bananas will tend to be a bit mushy and brown if packed for several hours in a lunch box. In the dead of winter, when produce is sad and flavorless, you could even go for dried fruits like plump apricots, sweet-tart cherries, or luscious plums. 7) Making hearts – To truly share the love, it’s tough to beat adorable, heart-shaped fruit! Some strawberries and raspberries are naturally heart-shaped and darling. You can also easily cut strawberries into hearts as you core them. With a paring knife, carefully slope down off the shoulders of the berry on each side, as you cut down toward the middle, under the stem, to remove it. Instant heart! See, it’s not so hard to share a little lunchtime love! Bear hugs totally optional. Guys, I’m so, so ridiculously excited to share this with you today. It’s the brand-new Flatout national video campaign, and we’re in it! Well … to be exact, two of my hands are in it … and one of Scott’s. But I’m gonna say that definitely counts! Also, our recipe is in it, too! Flatout asked us if they could include one of our recipes in their national campaign. How cool is that?!? And you know which of our recipes it had to be, don’t you? But of course … that uber-popular Granola Crunch Wrap! The whole video turned out to be just amazing – absolutely filled with clever ideas, and so much fun to watch. I get inspired every time I play it! So many more recipes to try, so many ways to Share the #FlatoutLove! … and then go buy more Flatouts, because you’re going to need them! Oh – and for those of you who have asked where you can find Flatouts, you can just use flatoutfinder.com. Easy (just how we like it around here)! 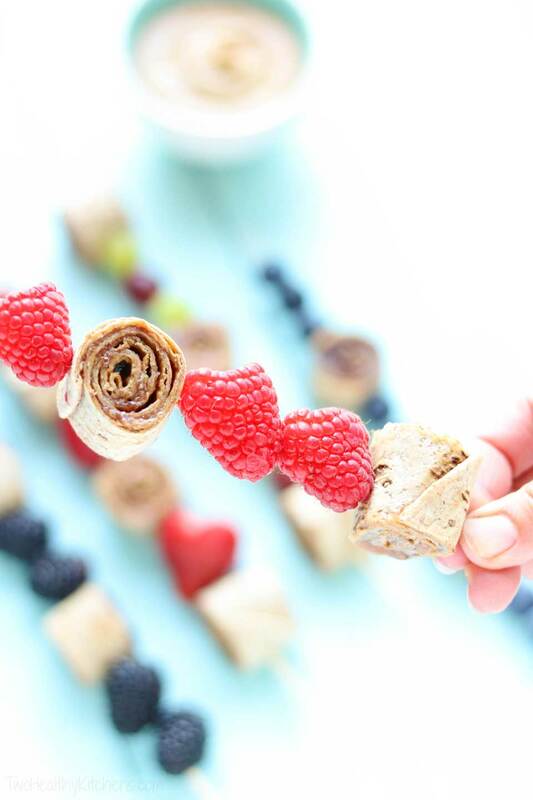 Thread pinwheels onto two wooden skewers, alternating the pinwheels with fruit. If you would like, for safety, you can snap the sharp skewer points off when you're done threading. Wrap in plastic and refrigerate until serving (or use lunch box ice packs to keep cool). 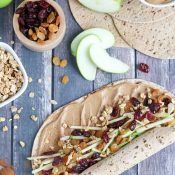 Nut butters and allergy-friendly options: You can change up these sandwich skewers by using different nut butters, such as almond butter or cashew butter. Or, for a more allergy-friendly option for nut-free lunchrooms, try WowButter (a soy-based, nut-free product), or a sun butter (made from sunflower seeds). 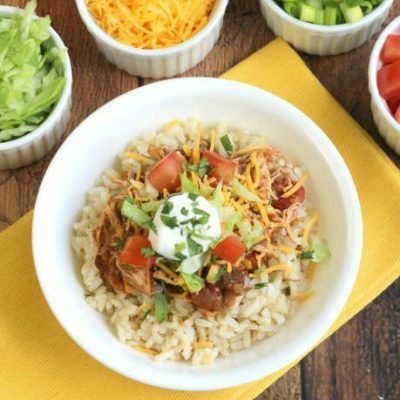 Make-ahead tips: These are specifically designed to be made in the morning or the night before, then packed in a child's lunch. To keep them freshest, we recommend wrapping them closely in plastic wrap, so the flatbread stays soft and doesn't dry out. 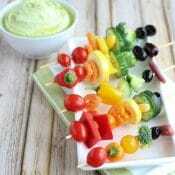 My kids would LOVE these kabobs!! 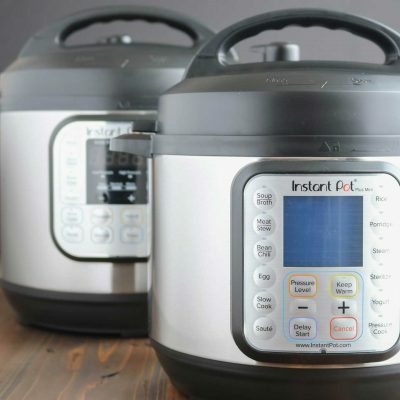 I love Flat Out — that video has my mind swimming with ideas to use that package I bought this weekend! I’m so excited for you to make these for your kiddos! Just an unexpected little twist to keep those school lunches interesting! And I hear ya about that video being so jam-crammed with inspiring ideas! I mean … that adorable birthday cake?!?! And all those yummy flatbread pizzas! Oh! And that idea for salsa verde enchiladas! I tore open a new package of Flatouts this morning (to make my son his requested Granola Crunch Wrap to power up before his big soccer game tonight) – and I have soooooo many other ideas for what to do with the other Flatouts that are waiting for me! Glad you found some inspiration, too! 😀 Enjoy! Wow. This looks amazing and so many possibilities. My guys would gobble these up. And that video has made me totally hungry! Pinned for later. Its so funny… i saw these in the store recently but have never tried them! I love your idea for my boys and ideas in that video all look amazing too!!! Love those mini pie cups! Thanks for sharing!!! 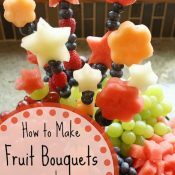 My kid would love making and eating them! What a great twist on the normal lunch idea. These kabobs are so adorable! 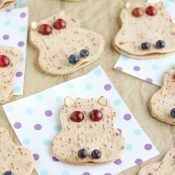 super cute kids lunch idea!! These are adorable! 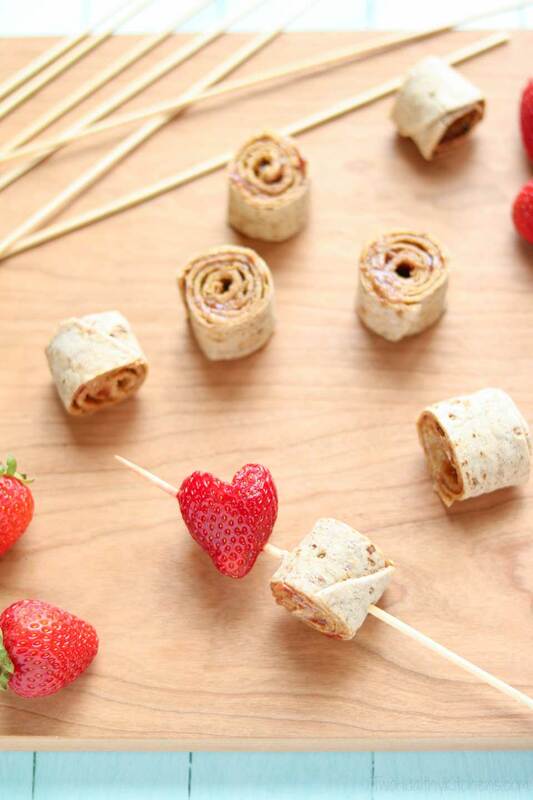 I love finding new ways to make eating healthy fun for kids! Oh wow, such a cute idea! And the heart strawberries are adorable! Love Flatout bread, yum! Those are adorable! And we love flatouts at our house. We top them with a variety of yumminess and give them just a few minutes in the oven. Wow! Love your new video. Great lunch box ideas, too!! Absolutely adorable! Love these so much, and I know my son will too. Such a great idea! My kids love pb&j so this is a fun way to switch it up for them. My kids absolutely LOVE these!